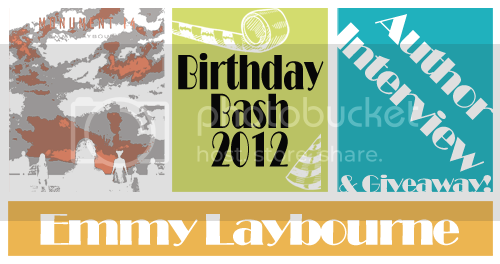 Emmy Laybourne drew me in with her thrilling plot, diverse characters, and HILARIOUS personality. Seriously. This woman is so so so so so funny. When I met her she literally did an interpretation of a woman who has an inner ear problem walking around in heels. I've never laughed so hard. Hope you enjoy her interview! I did. Did you have to do much research while writing M14? If so, what did you research the most? There were slight changes to the cover between the ARC and the finished version of M14. What made you or the publisher decide to make these changes? Any particular reason? 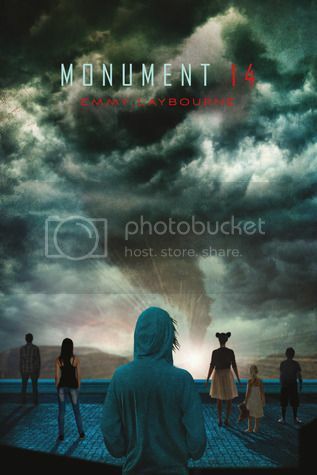 I absolutely love the cover of Monument 14! One of the things I love about it is that the identity of the characters is a bit ambiguous. Is the center character Dean or is it Niko? The girl in the bleached out jeans is Sahalia, but is the boy in the plaid shirt Brayden? He could also be Dean. However, the girl in the skirt has to be Josie, if only because Astrid would never wear a skirt! When I mentioned that to my editors, they reshot the silhouette to add Josie’s signature "Giraffe bump" hairstyle. You gave a great answer to this question when I saw you in person, but I didn’t write it down! 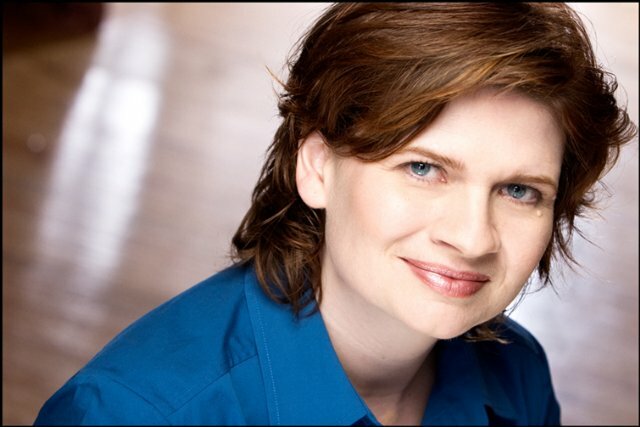 So I hope you don’t mind answering again: why the move away from professional acting? And why did you decide that writing was the next frontier? Oooh, personal question! But I'll give you my answer again - here in the written word - for all the world to see! 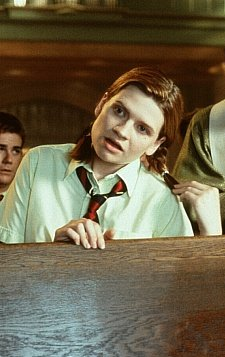 I loved acting - I still do. But as an actor I was always very critical of my body. I dieted and was always highly conscious of my weight and very hard on myself. The way I spoke to myself about my body was harsh and ugly - I would never have spoken to another human being that way - and yet I berated myself almost all the time. Once I became pregnant my relationship to my body changed. I LOVED being pregnant. I felt like a walking miracle! The bigger I got, the happier I was! For the first time in my life, I felt proud of my body. Once Elinor was born, I just didn't want to submit myself to my own violent thinking. I stopped acting for other reasons - the lifestyle was difficult for me to lead with a baby, and I also had a strong, STRONG desire to write, but I think that the impetus came from the new peace I'd found with my body. I started in the graduate program in screenwriting at UCLA when Ellie was 3 months old and graduated when I was pregnant with my son, Rex, three years later. Getting a degree in screenwriting was great for my career as a novelist! I was trained in story structure and to write active, visual scenes. Was Monument 14 always the title? Were there other titles floating around? If you could go back and change the title, would you? The original title was "We Are Val-U-Mart." I kind of still love this title, but it has too playful a tone, I think. We decided to change it and then my agent Susanna Einstein and I did a lot of brainstorming. I can't remember which of us came up with Monument 14, so I'm going to give the credit to Susanna! The next book is told from two different POVs (yes?). Did you find this harder or easier than a single POV? Yes, Monument 14: Sky On Fire had two narratives describing two different story lines. It did offer some challenges! I wrote Alex's narrative first, from start to finish. It took me some time to find his voice. Alex is younger then Dean - only 13 - and yet he's not like your average 13 year old. He has a technical knowledge about computers and electronics - a certain amount of logic over emotion - that needed to come through in his account of what was happening. Dean's narrative came very easily. When I started writing him, it was like he pulled up a chair to my desk and started giving dictation! Why did you choose to make the main character a boy? Was it hard to make his voice authentic (you know… since you’re not a boy?)? Josi, Niko, Brayden, and I picked fiercely outside the subaru doors. Eventually Alex came out scuttling two cherries. He whispered each by the grip, nun facing down, held out away from his body. He held them the way you might hold a couple of orange rats. This is such a great interview! I love the questions and answers, particularly the cover information and about previously acting and deciding to stop! Such an awesome Q&A! This book looks really good. I'm going to have to pick it up! I've been wanting to read this since I saw Emmy at the Fierce Reads event. She is hilarious! I have heard great things about this book! looking forward to reading it! I am happy you were able to step back from acting and pursue writing. I think it is a shame how much stress society puts on us to keep up a certain image. I'm really interested in this book now; I hadn't heard of it before! Thanks for another great interview! I love the mad libs too -- so funny! I definitely have this book on my list! So exciting that the next book will have different povs!!! I'd ove to read this! I've heard great things about it :) Great Interview! Thanks for the interview! I'm excited to read this book, and I love how the cover turned out. Thanks for the chance to win a free copy, Emmy! I love the cover, I love the story, I really need to read Monument 14! I know I'll enjoy this book. Thank you for the interview, Emmy! Buddy Triangle, sounds like it would be a parody for the Love Triangles. I love it! I've really been wanting to read Monument 14 since I first found it on Goodreads. It sounds fantastic! I really really like the cover of Monument 14, just can`t wait to read it, the story seems interesting. Only now did I realize Josie's hair style changed from the ARC, and I always thought the minor changes in colors was really just computer monitors, or different lighting! There are times when reading an author interview makes me want to have the book in hand right this second. This is one of them! I'm ordering it right now and splurging on one-day shipping. Can't wait to read it! Thank you for the interview! Even though I have not read the book...yet...I completely agree that the title "We Are Val-U-Mart" would have conveyed the wrong message. While a funny title, I would have had a totally different idea about what the book was entirely. omg i never really noticed the difference in the covers! lol! Lovely interview!! I'm dying to read Monument 14! It's already on my TBR list and I'm going to pick it up soon! I'm in love with the cover! I love books in a guy's voice. Sometimes, that girly voice gets a little old. I haven't read Monument 14 yet, but I've heard nothing but raving reviews about it! Val U Mart would have been awesome to for a title. I always appreciate it when writers put the effort into their research. The story is always better for it. Why did I not know she was an actor before? Very interesting interview!